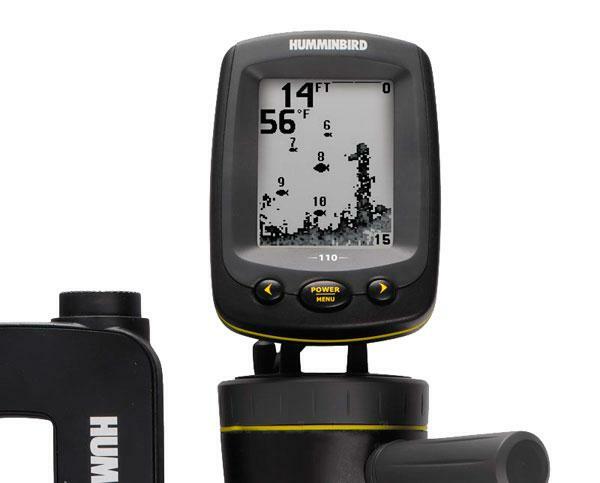 Do you own a Humminbird Fishin Buddy that is in need of repair? We can help! We have been repairing these popular units for years now...everything from broken mount to replacement battery packs and replacement power cables. This is a common item as the power cables that corrode are not available from the factory. Read on below for tips for your Fishin Buddy! The Fishin' Buddy 110, 120, 130, 140c products require six "AA" size alkaline batteries for operation. These batteries are not included. Make sure that all six batteries are installed by removing the battery pack and filling both sides with three batteries on each side of the pack. If replacing batteries, make sure all six batteries are replaced at the same time. Only partially replacing the batteries could also cause a no power situation. These products should NEVER be powered by a 12 volt source. Doing so will damage your unit and it will need to be returned for service. This would not be covered under warranty. The Fishin' Buddy MAX and Fishin' Buddy MAX DI require eight "AA" size alkaline batteries for operation. These batteries are not included. Make sure that all eight batteries are installed by removing the battery pack and filling both sides with four batteries on each side of the pack. If replacing batteries, make sure all eight batteries are replaced at the same time. Partially replacing the batteries could also cause a no power situation.